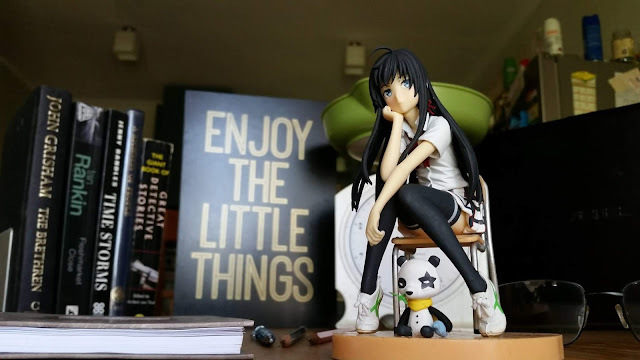 Yukino Yukinoshita Figurine from GearBest. Standing (or is that sitting?) at 14.00 x 15.00 x 14.00 cm / 5.51 x 5.91 x 5.51 inches the figure is an ideal size for displaying on a desk or bookshelf without taking up too much room. The 1/8 scale allows for a good level of detail, particularly in the characters clothing which, despite being PVC, visually reads as cloth material convincingly. The plastic chair and base plate included in the set do feel a little cheap by comparison to the figure but do the job of hinting at a classroom setting context for display purposes. As well the little Pan-san panda adds an additional point of interest that encourages the viewer to see the detail of the whole set by drawing your eye away from the main figure momentarily. "It's a fairly faithful depiction of Yukino." The paint job on the figure is particularly good and does not look rushed like it sometimes can on cheaper, mass produced figures. It should be noted that this figure is intended to be a display piece rather than a toy. It's molded into a fixed pose which cannot be changed as you might expect if this were a doll or posable action figure. Overall I'm very happy with my purchase. 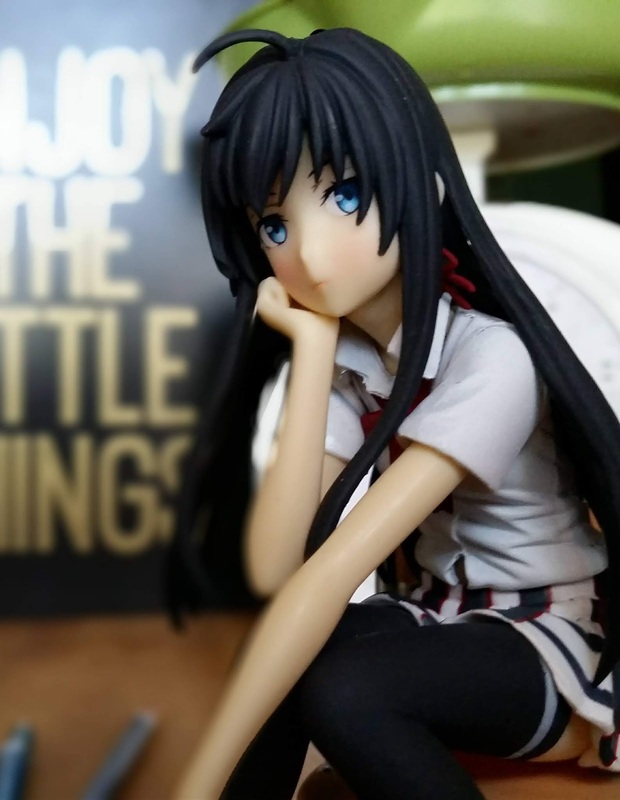 A great item for any Anime fan regardless of whether they know the specific character or not as the face is fairly classic Anime style teamed with the popular Japanese school girl outfit. Great value. The Yukino Yukinoshita Figurine is available now from GearBest. Support this site by clicking the affiliate links in this article before making your purchase. All photos and video is of the actual product purchased by the author from GearBest.